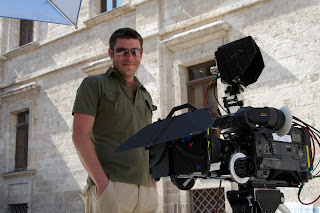 Film Production in Sardinia, Italy ~ Sardinia Baby! The Mandrake Root is produced by European Drama Network, a UK company based in rural Worcestershire. Shot on location in Sardinia, Italy, local TV production company Bencast was enlisted as associate producers to help undertake the shoot. Funded by commercial investment once shot, completion funds were secured from UK regional film-funding agency Screen WM. European Drama Network completed the post production in Birmingham, England. The total budget was $250,000. The Mandrake Root was shot in 14 days between the 1st and 14th of August, in Sassari, on the Mediterranean island of Sardinia. The final days shooting coinciding with the ‘I Candelieri’ festival, which has taken place in Sassari on the day before Assumption for the past 500 years. The movie completed its post production in the following June. The movie is 75 minutes in length and was filmed by Director of Photography Tony Yates on a brand new Sony HD 750p camera with lens by Cannon, made as 16:9 in 1080 high definition at 25p.It was edited off line and online on an Avid system and with the grade on an HD Avid Nitrous DS. The sound was recorded on hard disk and the sound design completed in Dolby Surround. The lead cast of seven where English, although Geoffrey Bateman is based in Paris and Jason Nicoli is a Sardinian based in the UK, other roles including the lady and the road sweepers were Sardinian based actors. 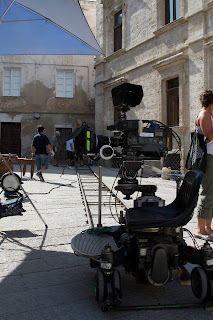 The crew was both from the UK and Italy, with the 1st and 2nd assistant directors, properties masters, electrician, grip and set construction coming from Sardinia and mainland Italy, where the lighting and track equipment was sourced. A number of the lead cast had previously worked with the director or producer although Jason Nicoli and Jonathan Owen who plays the Priest and several of the Sardinian cast were found through audition. 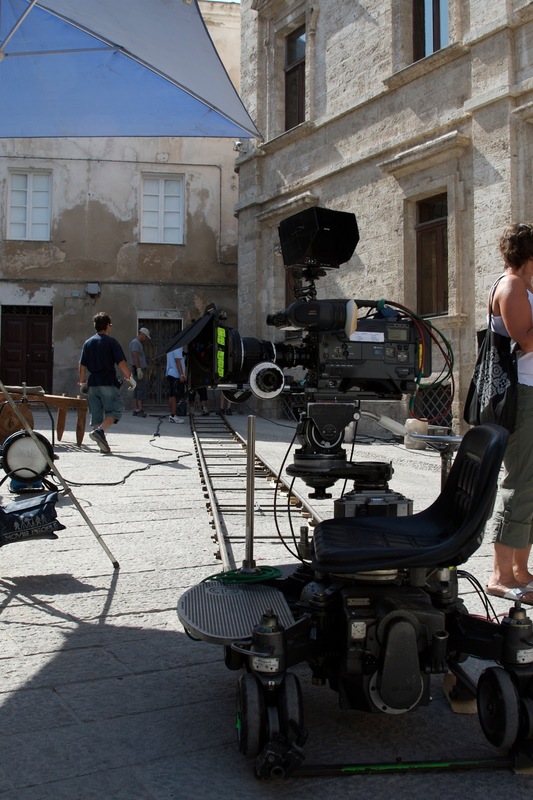 The main cast rehearsed in Sassari for two weeks prior to the shoot, developing with the director a number of the physical comedy elements. The cast where able to rehearse in the actual locations, as the geography of the films layout is ‘real’ In as much as the physical spaces related to one another as they exist in the city; this can be seen in the walk by Callimaco and Siro at the start of the movie, where the master and servant follow a real route from the Dumo (Cathedral) to the Piazza di Comue (central square). This s a route that could be recreated by any visitor to Sassari. The same is true of the location of sites in the main square. The entrance of Nicia’s house is next to the Bar and the front door of Callimaco’s house is across the square. Originally it was intended to shoot a number of the Priest’s scenes inside a church, however, due to the subject matter and the reputation of Machiavelli it was impossible to find a church that would agree. Director Malachi and the producer Simon met with a number of church leaders who all, very pleasantly, declined. Once shooting had started it was decided to move these scenes to the steps outside of a church a few meters from the main square, with the church itself turning a blind eye to our filming on their steps and using its entrance in one scene. Normally the first two weeks of August are very quiet in Sassari because it’s not a tourist town. Unlike the rest of the island , which on the coast is bustling with tourist or inland mostly closed for the whole of August, a few of Sassari’s shops and business stay open until after the ‘Canderlari’ festival on the 14th August. Prior to the shooting of the movie, many of the streets of Sassari had been dug up for improvements to the water and sewage of the city’s old town. This work, which began in the winter, progressed very slowly throughout the spring and summer. It was decided to go ahead with the shoot and simply introduce two new characters, medieval builders, who would be used to explain the building work and add some further comedy; after all there must have been a lot building work during the renaissance. However, in the two weeks leading up to the festival a sudden surge in activity took place. Spurred into action by the approaching ‘Canderlari’ festival, the city’s most important event, a desperate rush to complete the building work began. Whilst this meant that little building work is seen in the movie, the disruption to the shoot was immense, due to the noise of builders cutting huge granite pavement blocks and using pneumatic drills to dig up old concrete foundations. Although the builders were as considerate as possible and the city’s council enormously helpful, especially in taking down street lamps and letting us dismantle road signs, it did cause a lot of difficulty in filming and most acutely with the sound. On a few occasions when the noise became particularly intolerable and the workmen not keen to stop, Chara, who plays the wife Luzcrezia would be dispatched to ask for a few minutes quite. Being tall and blonde, a rare thing in Sardinian women, this often had the desired effect. Because the two actors playing the builders were so funny it was decided to keep them in the movie but make them road sweepers. and have them speak Italian. The inaccuracies in their subtitles being both funny and reminiscent of the Italian subtitles for Brokeback Mountain, which the producer watched just before shooting, where in one completely silent section of the film a subtitle is inserted.